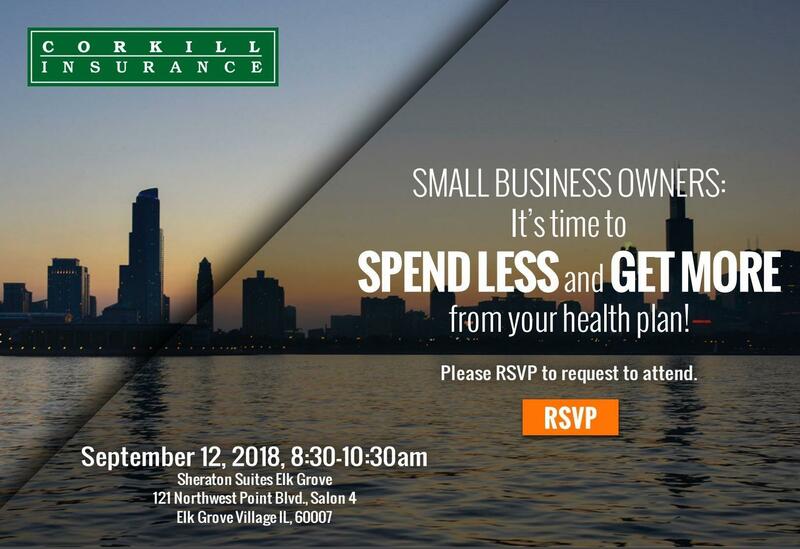 Elk Grove Village (August 14, 2018): Corkill Insurance Agency, Inc. will be presenting to small businesses on how to they can spend less and get more from their health plans. Small businesses are running into problems maintaining the cost of their health insurance plan for their employees. Health care expenditures, including insurance premiums, out-of-pocket expenses, and taxes devoted to health care, have more than doubled in the last ten years. “Some employers are adjusting to the average $15,000 a year health plan costs per employee, while small businesses are looking for a way out. This event could be just what they were looking for.” Says Butch Zemar, Benefits Advisor at Corkill Insurance Agency, Inc. in Elk Grove Village, IL. Cost saving strategies are what small businesses are looking for, without jeopardizing coverage. More options are coming available for mid-large employers, yet leaving small employers with little or no options. September 12, 2018 from 8:30 a.m. to 10:30 a.m.
Corkill Insurance Agency is a full-service insurance agency servicing the Chicagoland area for over 55 years. The Benefits department has nationally recognized benefit advisors on staff to consult with small to mid-sized companies with their employee benefits program. Contact Corkill Insurance at corkillinsurance.com or 847-758-1000.